Reduce your footprint, improve your health, help others…and have fun! We are here to help you learn how to make more environmentally-friendly, healthy and compassionate food choices and enjoy every minute of it. We bring you news, tips and events and also promote local companies who support this movement. Welcome and thank you for visiting our site. 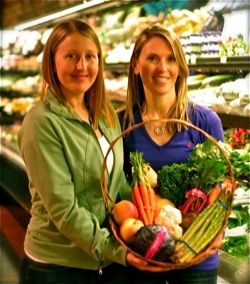 We run the Whistler Chapter of Earthsave Canada, which is a non-profit organisation that promotes a plant-based diet for health, environment and animals. We hope that you will find our restaurant list helpful and if you have any questions on where to eat, feel free to get in touch. 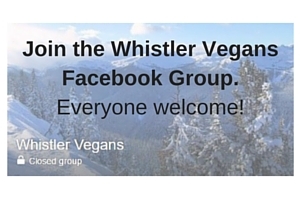 You can also follow our Facebook page for updates and join the Whistler Vegans facebook group to connect with like minded people in Whistler. We also have a mailing list where we occasionally send out emails to let you know about specific events you might be interested in. We look forward to meeting you and hope you enjoy your time in Whistler!